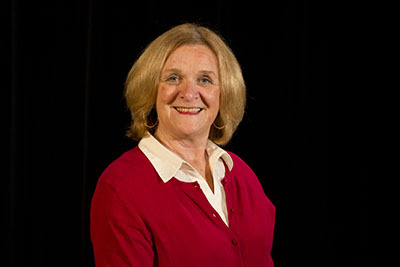 University of Nebraska–Lincoln College of Journalism & Mass Communications Associate Professor Sue Burzynski Bullard placed second in an Association for Education in Journalism and Mass Communications teaching competition. The AEJMC Standing Elected Committee on Teaching selected Bullard’s lesson, “Whose Link Is It Anyway? Crediting Curated Content,” for the award. Her assignment teaches students to provide clear attribution when curating content from other sources. “It’s a matter of ethics,” Bullard said. “In today’s media world, it’s common to link to content from a variety of sources. It’s essential that student journalists understand the importance of crediting sources for their work. In an Advanced Editing class this semester, for instance, Bullard’s students created weekly newsletters. They followed an attribution style that required them to clearly identify the original source of curated content. Bullard will present her lesson at the AEJMC national conference this August in Minneapolis. Other award winners included Jennifer M. Grygiel, of Syracuse University; Jennifer Brannock Cox, of Salisbury University; and Sherry S. Yu, of Temple University. Before she was a professor, Bullard was the managing editor of The Detroit News and worked at newspapers in Saratoga Springs, New York, and Lansing and Port Huron, Michigan. She is the author of “Everybody’s an Editor: Navigating Journalism’s Changing Landscape.” Bullard has taught journalists from around the world for the Poynter Institute and has written about digital media for Nieman Reports Professor’s Corner. Bullard has been honored for her achievements in both journalism and teaching. In 2014, she received the Society of Professional Journalists Distinguished Teaching in Journalism Award. She’s won numerous other teaching awards in various AEJMC competitions. In 2010, she won the Promising Professor Award from the Mass Communication and Society division of AEJMC. In 2008, she received a lifetime achievement award from the SPJ Detroit chapter. She was inducted into the Michigan State News Hall of Fame in 2009. And she the Michigan State University College of Communication Arts and Sciences named her an outstanding alumna in 2007. Much of her research on social media, editing and teaching practices can be found on Digital Commons at UNL. She earned her bachelor's degree in journalism from Michigan State University in 1974 and a master's degree in administration from Central Michigan University in 2000. The Association for Education in Journalism and Mass Communication (AEJMC) is a nonprofit organization of more than 3,700 educators, students and practitioners from around the globe. Founded in 1912, by Willard Grosvenor Bleyer, the first president (1912-13) of the American Association of Teachers of Journalism, as it was then known, AEJMC is the oldest and largest alliance of journalism and mass communication educators and administrators at the college level. AEJMC’s mission is to promote the highest possible standards for journalism and mass communication education, to encourage the widest possible range of communication research, to encourage the implementation of a multi-cultural society in the classroom and curriculum, and to defend and maintain freedom of communication in an effort to achieve better professional practice, a better informed public, and wider human understanding.